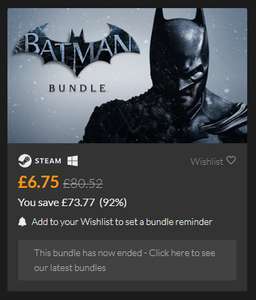 Pretty great bundle for what you're getting; 2 of the best games of all time and in 60fps if your PC is decent enough. Wow great price! I got somewhere in the first on console but could never get into second one on pc. I could not handle the flying. Always a game I think I should get back into! Deal posting newbie! This is KarbonianLoad first deal post. Help out by leaving a posting tip or just to show your appreciation for their contribution.